Vanuatu is a collection of 83 volcanic islands located in the South Pacific Ocean. Due to its mountainous terrain, many parts of the island can be accessed only on foot or by boat. 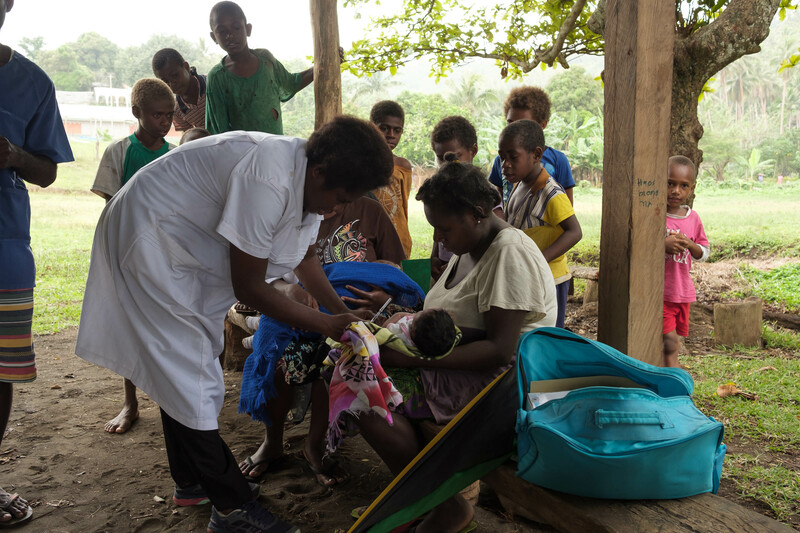 As a result, only 1 in 5 children in Vanuatu receives their required vaccinations. to transport vaccines to children in more secluded areas. “It’s extremely hard to carry ice boxes to keep vaccines cool while walking across rivers, mountains, across rocky ledges,” said Miriam Nampil, the nurse who administered the vaccine. 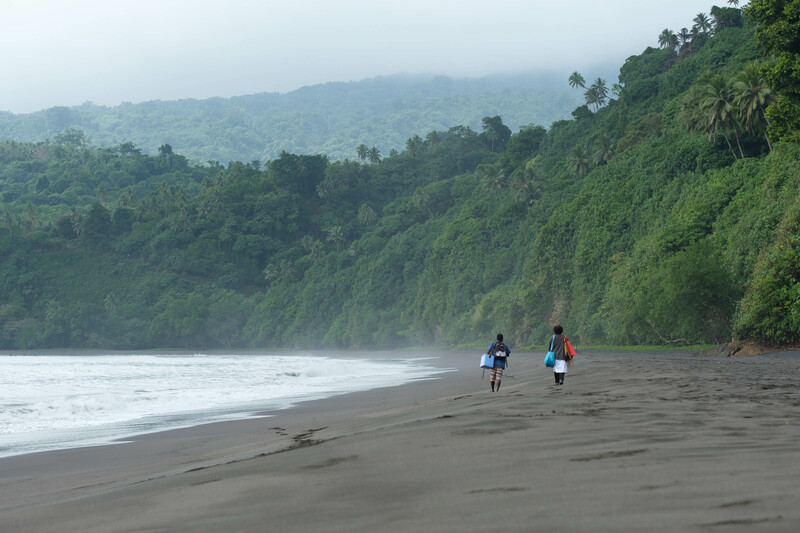 However, thanks to drone technology, secluded areas like Vanuatu can now be reached. 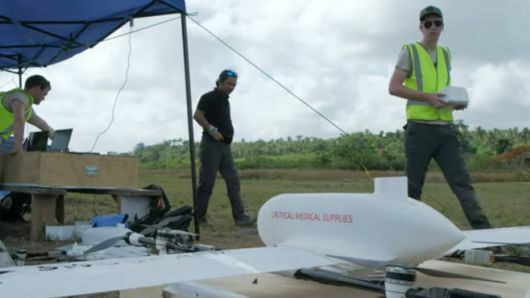 On Tuesday, December 18th, a drone developed by an Australian tech firm, Swoop Aero, traveled almost 25 miles to deliver medical equipment to the remote area of Cook’s Bay, an area of Vanuatu that lacks a basic healthcare system. Thirteen children and five pregnant women were vaccinated, according to CNBC’s Choe Taylor. This is the first time that the government of Vanuatu has contracted a commercial drone company to transport vaccines to its remote areas. Because of the success of this first delivery, the government hopes to integrate drone delivery into its national immunization program and use the technology in the future for a wider distribution of medical supplies. The trial in Vanuatu is one many in the use of drones in healthcare delivery. Henrietta H. Fore, Unicef’s executive director, stated that Tuesday’s “first-of-a-kind vaccine delivery has enormous potential not only for Vanuatu but also for the thousands of children who are missing out on vaccines around the world.” Many developing countries are taking advantage of this technology. Ghana, for example, recently signed a deal with the U.S. firm, Zipline, which will allow the use of drones in delivering blood and other supplies to hospitals throughout the country. Also, Rwanda recently deployed drones to deliver supplies and blood to doctors in its rural locations. Drones will also be used to transfer blood samples to and from hospitals in Malawi, which will facilitate the HIV diagnoses process in infants. Finally, Papua New Guinea uses drone transports to carry samples from people with suspected tuberculosis to hospitals. Drone technology is proven to be not only efficient in aiding medical workers but also brings the hope of reaching those difficult to reach but in need of medical care. As the technology advances it will continue to get better, allowing for more ad to reach the once thought unreachable places.